You know those cheesy posts on Facebook about how you know you have a true friend when you don’t have to talk to them every week, or even every month, yet you still love them? Every time I see one of them I automatically think of Tani. Not because she’s a Facebook over user, but because she’s one of those friends that I talk to maybe once or twice a year but still consider one of my closest friends. We are so different in so many ways but somehow after 35 years we are still close. We met in grade 9 at an all girls school on the West Side. You know the one. Big ivy covered walls, tartan skirts, stern head mistress. Thinking back, I don’t remember becoming friends; I just remember being friends. We both had a certain sense of adventure. 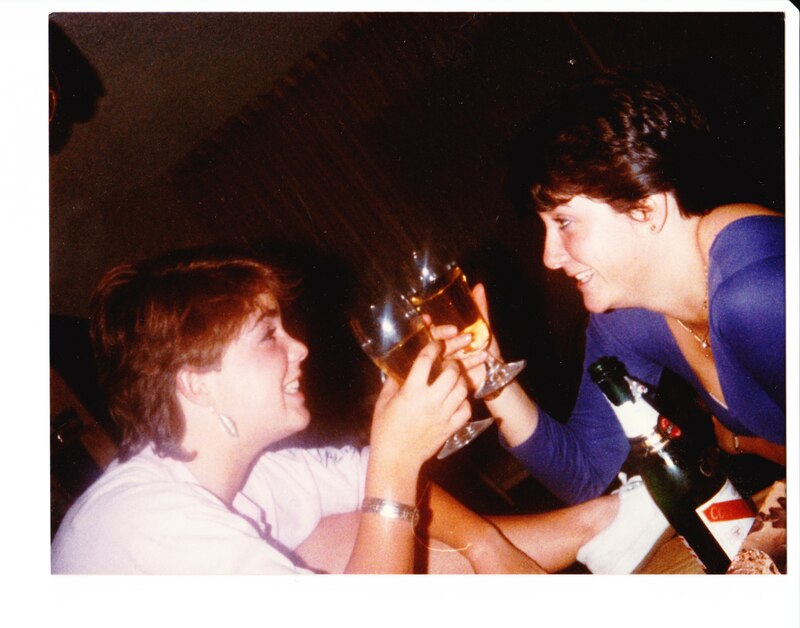 When everybody else in our grade ten class was attending the Governors Ball to be presented to society, we were scoring off sales at a bar on Broadway and going to a party at Wreck Beach with two seniors from Point Grey. Okay, so maybe that was more irresponsible than adventurous, but you get the picture. I grew up in West Van with very strict British parents. Tani grew up on the northwest coast of Vancouver Island in a family that regularly threw roaring jazz parties. My parents drank sherry by the fire and Tani’s parents drank martinis at the Timber Club in the Hotel Vancouver. 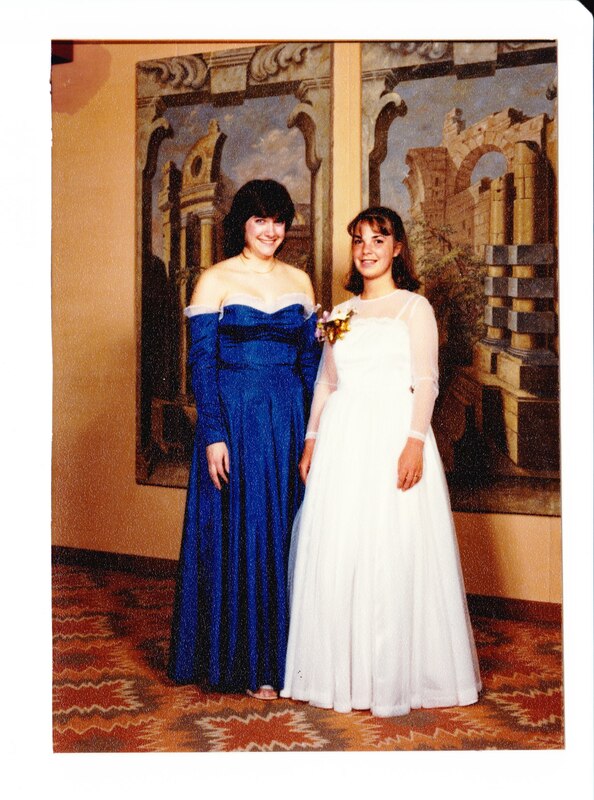 When we were all wearing white gowns to our grad dance (private school tradition) Tani had the guts to wear a sapphire blue off the shoulders gown. (I’ve always admired her for that). She’s happy to stand out in a crowd whereas I tend to try and blend in. Also, Tani is incredibly smart and always did really well in school. I struggled in high school and pretty much gave up on university after one year. We’ve had some amazing times together. The trip to Fiji with Tani and her parents is still one the fondest memories I have. Long weekend trips up to Winter Harbour to discuss philosophy with her step brothers. Some creative and champagne fueled Halloween parties at her townhouse. Her wedding to Bill. Although, I still haven’t completely forgiven her for making four pregnant women wait to get to the buffet. We’ve seen each other through some not so great times too. Lost pregnancies, failed marriages, (okay maybe that was just me) and lapses in judgement (yes, that was me again). Tani was my maid of honor the first time I got married and three years later saw me through an ugly divorce. I wouldn’t have blamed her for saying “I told you so”, but she never did. And then there was the time that we both got called to the head mistresses office after a weekend party in Langley. Sitting on that bench outside her office is an experience I wouldn’t wish on anybody. How she found out what we were up to is still a mystery. We were roommates in university for a year. Didn’t go well. I wanted to go to bed early and she liked to stay up late playing cards. She liked the apartment to be clean and I would rather go to an aerobics class than clean the bathroom. (Hey, it was the ’80s). We didn’t talk for a long time after that. She moved back East and I went to live in Banff. One night I had a dream about her and the next day felt the need to call her. No, I do not believe in it being a “sign”. I don’t really buy that stuff. Anyways, turned out that she had just moved back to Vancouver and we reconnected. Over the years we have seen each other less and less. We live in the same city but have totally different schedules and live on completely different sides of the city. She travels a lot for work and I have a young daughter and a husband who travels as well. We have different friends and different interests. Yet somehow we manage to come together once in a while and it’s as if no time has passed. The difference is that now we share stories about raising our own teens. May they never do half of the things that we did. When I told Tani that I was writing a piece about us, I asked her if she wanted to read it before I published it. “No, I trust you.” And there it was. Trust. Trust, that no matter how bad we screw up, no matter how many times we forgot to call back and no matter how many times we cancel plans, we would be there for each other. How’s that for cheesy? Love you my friend. Have an amazing time in Italy. You totally deserve it!